GENERAL SANTOS CITY–The government of China and the Department of Health (DOH) unveiled on Monday the newly-completed P350 million Soccsksargen regional drug treatment and rehabilitation center in the Sarangani town of Alabel. Representatives from the Chinese Embassy in Manila formally turned over to DOH officials the three-hectare modern rehabilitation facility, which was completed nine months ahead of schedule. The project, which has a contract period of 21 months, was implemented by China Aid through the state-owned China State Construction Engineering Corp. Ltd. (CSCEC). Jin Yuan, commercial counselor of the Chinese embassy, said the facility reflects the cooperation of the governments of China and the Philippines, as well as the efforts of the provincial government of Sarangani. He lauded the project management team from CSCEC for the “hard and excellent work on this project” and for making sure that it would be completed ahead of schedule. “Without the concerted efforts, we cannot make this dream come true,” he said during the turnover ceremony. Health Secretary Francisco Duque, who accepted the project, expressed gratefulness to the Chinese government for supporting the construction of the project, describing it as among the most modern in the country. Duque said the facility was a huge boost to President Rodrigo R. Duterte’s campaign against illegal drugs. He said the DOH, which will manage the facility, will put in place the necessary mechanisms to ensure that it would be utilized properly. “The first-ever modern rehabilitation center (in Soccsksargen) is committed to strengthening the prevention and treatment of substance abuse, including narcotic drug abuse and the harmful use of alcohol,” he said. Duque said the facility will start its formal operation next year and will cater to patients from parts of Soccsksargen, covering the provinces of South Cotabato, Sultan Kudarat, Sarangani and North Cotabato, and the cities of General Santos, Koronadal, Tacurong, Kidapawan, and Cotabato. Dubbed the Soccsksargen Drug Abuse Treatment and Rehabilitation Center, the two-story facility is equipped with complete amenities and had been designed as a courtyard. The center has a floor area of 6,707 square meters and a total capacity of 150 beds. Its facilities include the treatment and recovery units, admission/administration building and clinic, sports area, training center, visitor’s pavilion, transition villas, male and female dormitory, staff house, motorpool, and multi-purpose covered court. 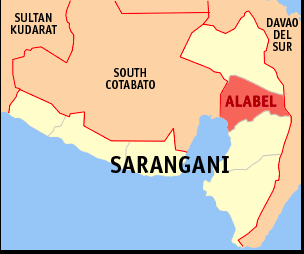 Sarangani Gov. Steve Chiongbian-Solon said the facility will enhance the implementation of the province’s rehabilitation program for drug users and offenders. Solon noted that the local government had been facing difficulty in finding legitimate drug rehabilitation facilities for patients from the area. “We’re not talking about rehab centers that look good on paper but those that can really rehabilitate a patient,” he said.